I’ve never eaten a Rendang curry, I felt I should mention it as a disclaimer before reviewing Boot’s Rendang Curry Flavour Cracker. I’ve googled it, and it is a curry that is quite aromatic and originates from Indonesia. There were genuinely quite a few, I was impressed by the generous helping. 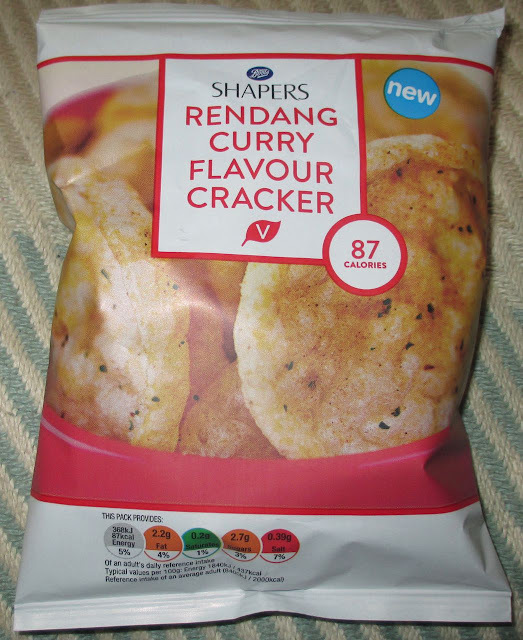 This is a product from the Boot’s Shapers range and the calorie content of the whole bag is just 87calories, so when I went to pour them out with my lunch I was pleased by the amount. The flavour to me tasted like a Thai curry. I guess if you haven’t tried something before you compare it to the nearest thing you can think of. The flavour is creamy, almost buttery form coconut milk, lightly spiced with chilli and there are flavours like lemongrass in the background. I like the flavour, and the creamy taste from the coconut worked very well with them. The chilli was very mild, I suspect a proper Rendang curry would be hotter, and to be honest I too would have liked a bit more spice too. 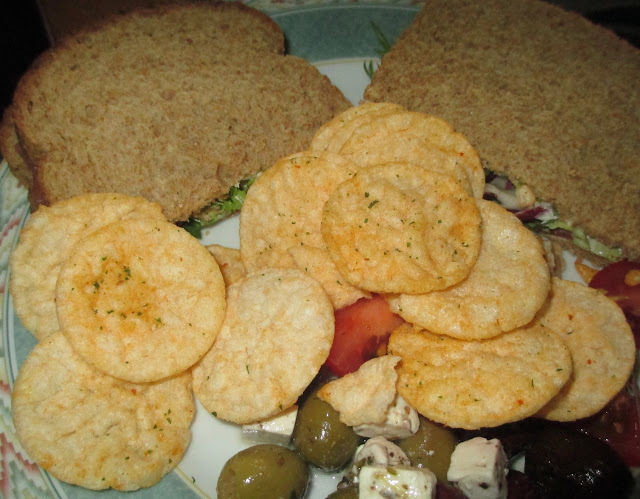 The texture is okay, they are light and crunchy, but a little dry. That is me being picky, and with a lower calorie product like this I really shouldn’t be. What they do they do well, and it shows that taking the lower fat option doesn’t necessarily have to be plain.